San Francisco is my favorite city in the world, bar none. I love NYC, I love Bali, and I love Buenos Aires, but SF is the place for me. And since I've been here for 10+ years, I get asked a lot: what should I do when I visit? San Francisco is my favorite city in the world, bar none. I love NYC, I love Bali, and I love Buenos Aires, but SF is the place for me. And since I've been here for 10+ years, I get asked a lot: what should I do when I visit? This post will highlight some of my favorite things. Recently, I joined forces with InsideHook - the "essential lifestyle guide for adventurous and discerning men." I'll be their SF curator (and advisor), helping them find and share hidden gems in gadgets, food, outdoor adventure, and more. Subscribers get one hand-picked item per day via email. That's it. I encourage you to check it out here. At the very least, you'll get an education in headlines, as their copywriters are amazing. Below is one of my ideal days in SF, planned out so everything is within close walking distance. 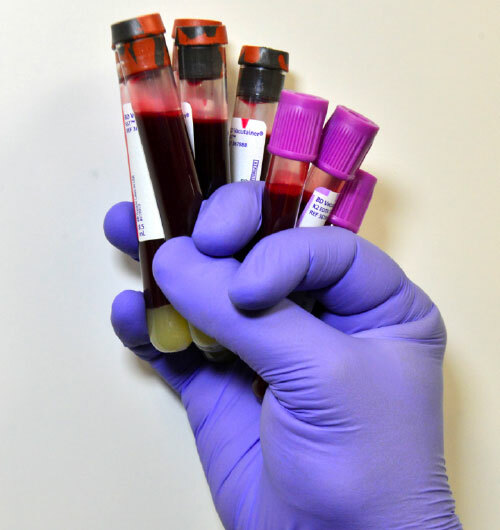 Description: Visit one of Wellness FX's labs for a blood drawing to produce an in-depth analysis of your state of health. Results offer a wide range of information, from cholesterol and hormone levels the to an analysis of your body's electrolytes and vitamins. Activity: Smoothies, juice blends and more at 21st/Valencia. Description: SideWalk provides made-to-order juices, smoothies & kombucha juice blends that are as delicious as they are beneficial to your physical and mental health. My favorites? 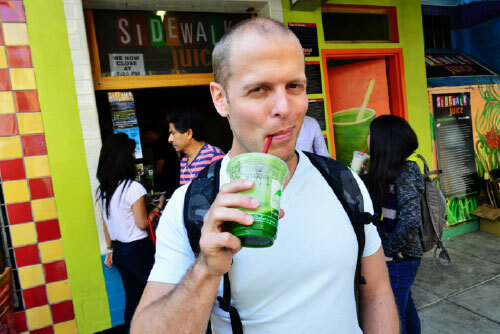 The "Green Machine" and the "Jake Shields," named after the local UFC fighter ("The strongest kale drink in existence!"). Activity: Walking tour of two alleyways with notable graffiti artwork with Dan Pan. We focused on the Mission district. 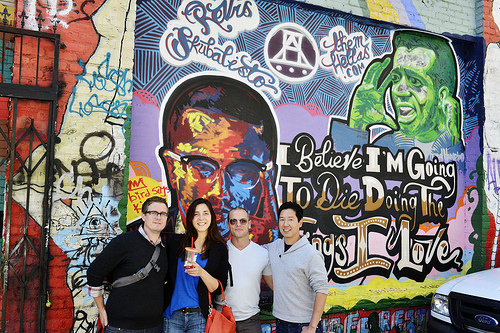 Description: Guided walking tour with Dan Pan, founder of 1AM Gallery's new street-art app. The app allows you to find nearby street art, as well as take pics and have users tell you the artist (very cool). Try Clarion Alley as a starting point, which is run by an artists' collective. 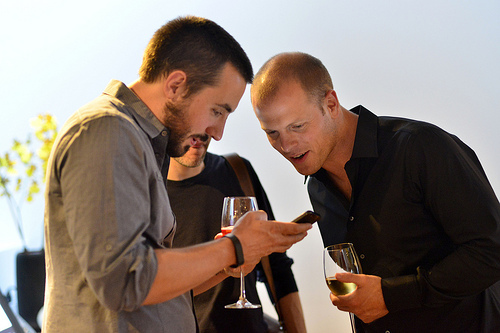 Pricing: The 1AM app is free. 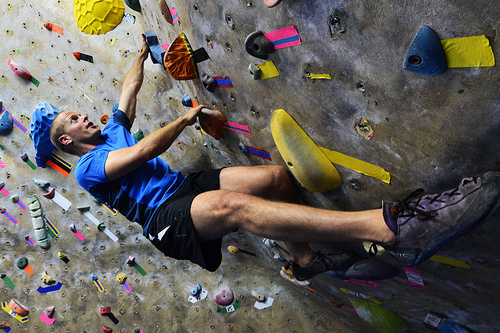 Description: Indoor rock climbing at Mission Cliffs, a sprawling gym located at 2295 Harrison St. Description: Salumeria is a 20th St. deli and larder that marries the culinary traditions of Old World Italy with the trend-hopping foodie culture of contemporary San Francisco. Hawk Hill: where you can take a bike ride into our Cold War past. Once upon a time, Fortress America dotted San Francisco's hilltops with Nike missiles and radar outposts. Of course, those missiles were never fired -- but you can still visit the rusted remnants of their vigilance if you bike up to the SF-87C radar outpost, the best-kept secret of the Marin Headlands coastline. The Lands End Trail, where you'll find the best maze in the Bay. Truck up the Great Highway to stretch legs and strut your knowledge of the Sutro Baths. Hike up the Land's End Trail from the ruins to the labyrinth at Eagle's Point. It's only a couple miles round trip, and damn fine panoramic views'll be in serious supply. California Cheese Trail: pairs well with Mission Cheese (below) or your vineyard of choice. As an adult, your knowledge on cheese should surpass the realms of Lunchables and Easy Mac. Showing you the whey: the California Cheese Trail app from the folks at the Marin Agricultural Land Trust, available now for iPhone and Android. If you're up for spending a few bucks on cheesy delights, visit Mission Cheese on Valencia. The Bay Bridge's long-awaited East Span. The opening of the Bay Bridge's new East Span has been years in the making, and now it's officially open, welcoming pedestrians and cyclists of all stripes and offering exclusive access to Yerba Buena Island. Vantigo: Tour beer breweries in a cherry-red VW Bus. Indulge your nostalgia for simpler days with Vantigo, now offering tours of some of the Bay Area's best microbreweries via a pristine '71 VW Vanagon. Trumaker and Co.: Shirtmakers who come to you. Restock your shirt library with Trumaker and Co., a custom shirtmaker with a highly mobile fleet of outfitters. It's simple: you make an appointment, they send a tailor your way. Boatbound. Because every man should own a boat...if only for a day. Herein: your guide to using BoatBound, a new AirBnB-style boat rental service. SF Bay or Half Moon Bay? Big Sur Roadhouse. The Big Sur getaway you've been looking for. There's a sprawling new Cajun restaurant in Big Sur. There are also some skinny-dip-friendly hot springs down the road. That gives you at least two good excuses to visit. Mikkeller. It's like a beer tour of Europe in a single bar. The legend of Danish brewery Mikkeller has been growing across the pond for some time; they just opened their first North American alehouse in San Francisco. Shelter Co.: Romantic private camping service with tent butlers. Shelter Co. offers completely customized luxury camping experiences. You want tent butlers? They got tent butlers. You want a private island? They will rent you a private island. Want more activities, rare finds, and goodies? Sign up for InsideHook and let me know what you think. I'll also choose one person who signs up for a 30-minute phone call with me. Then what? How about you try my Pacific Northwest roadtrip from SF to Whistler? Damn, I love the Bay Area. What's your favorite city in the world, and what are your favorite 2-4 activities?